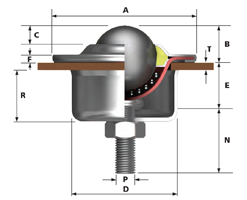 Low profile Ball Transfer Units, designed to be fixed within materials of 1mm to 27mm thickness. Need more help selecting the right Ball Unit? PLEASE NOTE: Alwayse Ball Units are available in four standard material options – roll over the ‘Types’ below for more details. 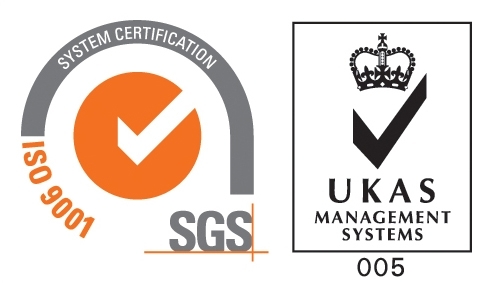 Specialised materials are also available, contact us for bespoke requirements. 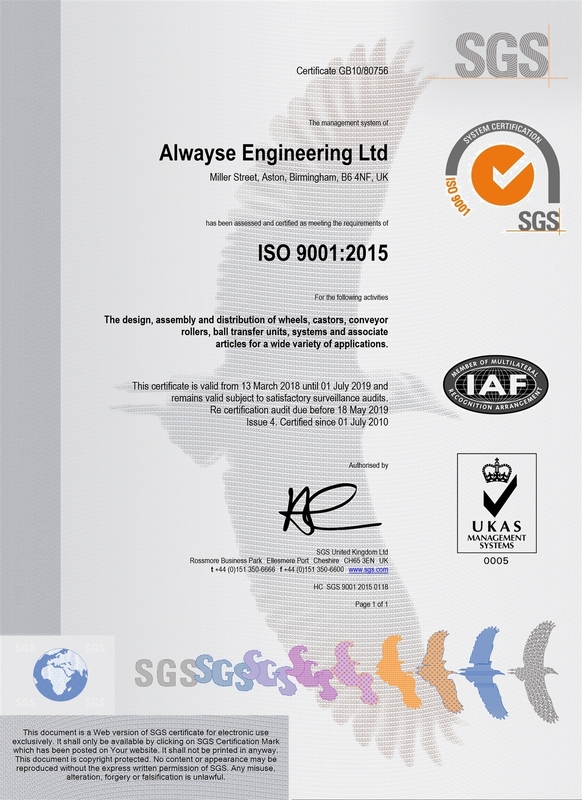 ALWAYSE Engineering is quality registered to ISO 9001 and has a rigorous policy of testing, utilising our specially designed test equipment. 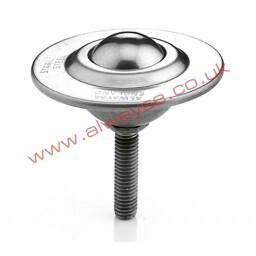 ALWAYSE Ball Units are used in many different industries. Take a look at some recent applications. What is the Ball Unit Identifier? The Alwayse Ball Unit Identifier allows you quickly identify suitable units based on 2 key criteria. By choosing from the options listed you will be given a variety of ball transfer products which meet your needs. If you know the Alwayse part number enter it and you will be taken directly to the appropriate information. You can also enter other companies’ part numbers to find the Alwayse equivalent. Choose the appropriate fixing for your application if known. Choose the maximum load capacity required. Please note that these are for a load up orientation. For load down or other orientations please note that the maximum load capacity may be reduced. To download our brochure, please complete the form below.